“Here is a cartoon about gossip/rumors/bullying/teasing. 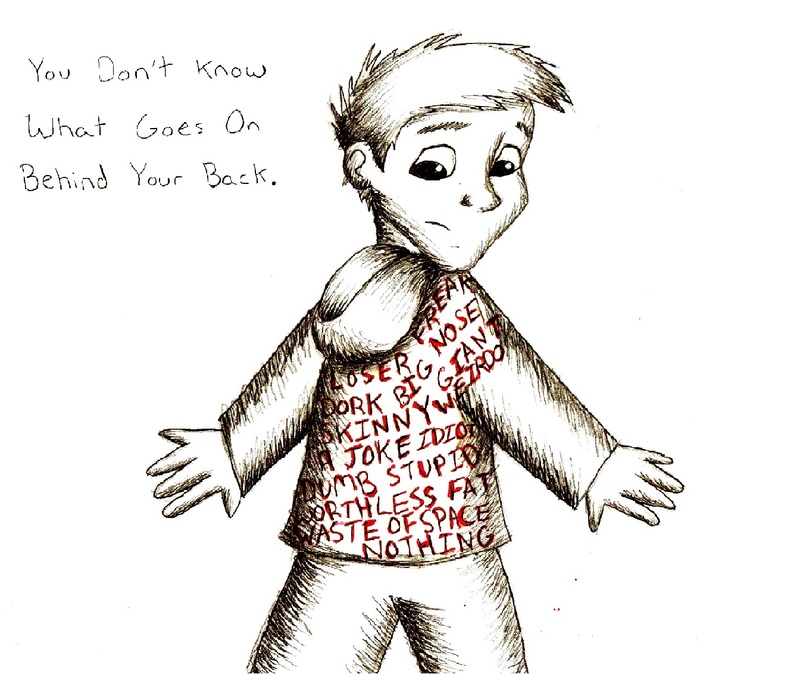 The boy in the picture has words on his back because they are words that people are saying behind his back. When he sees these words, he is hurt. Talking behind someone’s back is a horrible thing to do. Everyone has been a victim and everyone has been the person saying these things to a victim. 1. it’s for a class assignment. 2. I haven’t been drawing in a few weeks because I’ve been sick and busy. 3. Lately, I’ve been on Youtube looking up videos about bullying/cyperbullying and the sad thing is . . . it’s not going to go away.